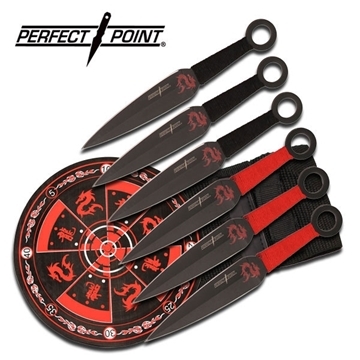 Less walking and more throwing with this 6 pack of throwing knives AND dragon themed target. 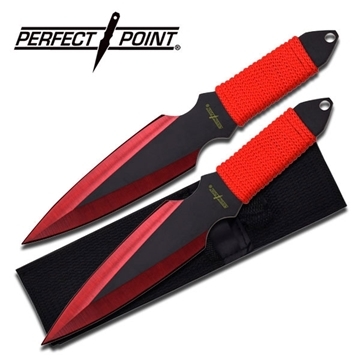 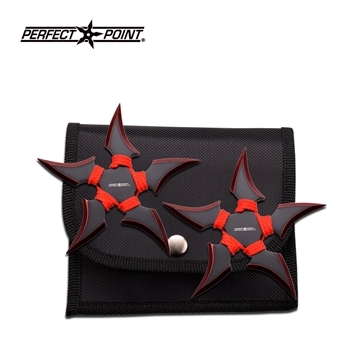 Perfect Point brings us knives with a bite! 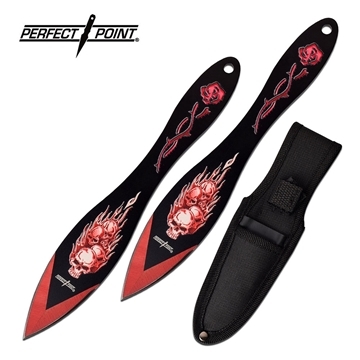 Turn up the heat with this set of flaming throwing knives from Perfect Point! 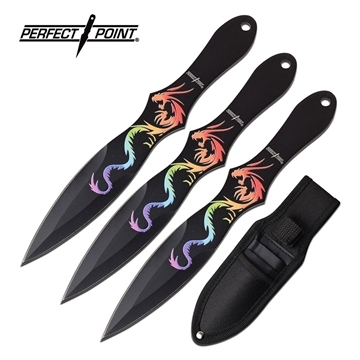 Add a little color to your throwing knife arsenal with these Perfect Point blades! 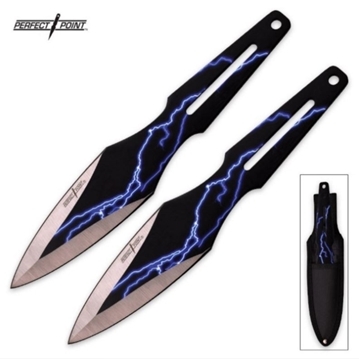 The thunder rolls in with these nine inch throwing knives! 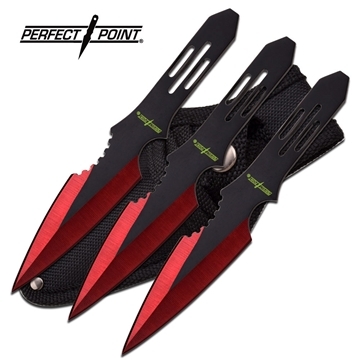 Attractive and concealable, these throwing knives are just right. 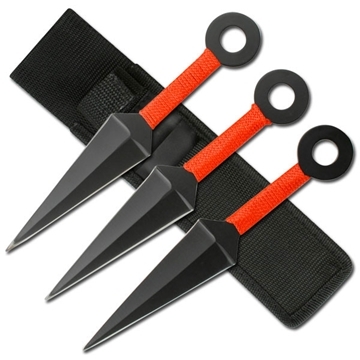 Very traditional looking high-end throwing kunai from Perfect Point. 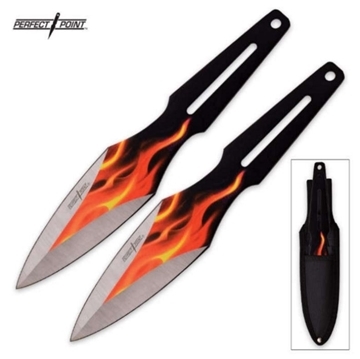 The blades are 3″ and the overall length is 6.75″. 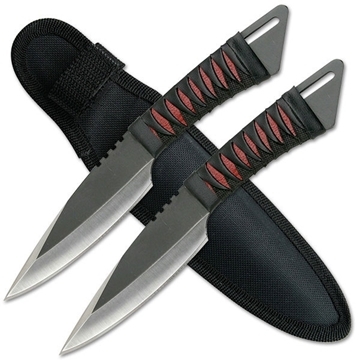 Wrapped with red and black leather handle. 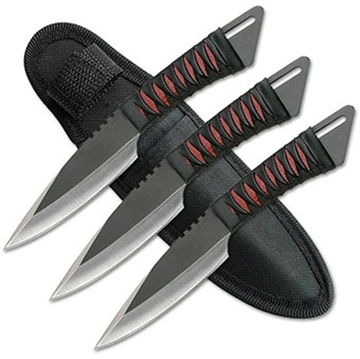 3pc set and black sheath. 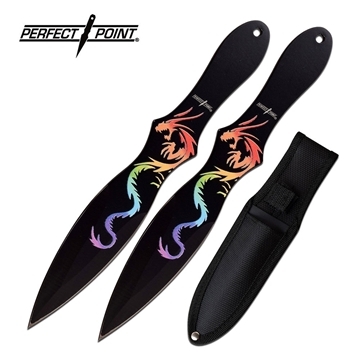 Named for Iris, the Goddess of Rainbows, these five-pointed talon ninja stars from Perfect Point will have you praying for mercy.